Chakra is a form of yoga indigenous to Hindu and Buddhist philosophy. It is similar to Reiki healing (and indeed, Reiki represents a form of chakra healing) in that it is based on the belief that there are areas of the body that are endowed with the ability to spiritually heal through receiving energy. However, in addition to the possibility for using Reiki in order to receive energy, one can use a number of procedures, including yoga, aromatherapy, food therapy, and color healing. The name refers to the chakras in the body, which are the energy portals through which the procedure functions. Although there are literally hundreds of thousands of chakras in the body (over 800,000), 7 major chakras are said to exist. 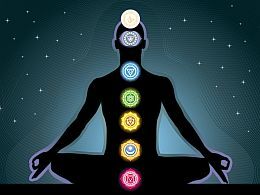 In Western culture, chakra healing has been adopted by New Age philosophy and is practiced by a substantial following. See chakra healing videos at the bottom. How does Chakra healing work? A series of major and minor energy centers – called chakras – exist within the body. The chakras are the energy centers in the physical body, where your beliefs and emotions are transformed into your state of health. Your thoughts, feelings and beliefs affect the health of your tissues and organs, and this can be “seen” within the chakras. Traumas, negative feelings and thoughts can lodge in the chakras, and create a blockage (dis-ease) that will hinder healthy energy flow. When we don’t allow a healthy energy flow, due to negative thoughts and emotions, we get tired and weak, and eventually we develop some form of disease. Chakra healing is about releasing inner resistance that exists within the chakras in order to achieve optimal health. There are seven major chakras, and each chakra corresponds with a color and a set of physical attributes. Each of the seven major chakras is associated to specific emotional states and specific organ system. When all chakras are balanced with a healthy energy flow, you will have a perfect health and a balanced body, mind, and soul. The seven major chakras include: root chakra, sacral chakra, solar plexus chakra, heart chakra, throat chakra, third eye chakra and crown chakra. Chakra healing to create a healthy energy flow, can be done in different ways. The most popular chakra healing procedure involves yoga and a series of stretching and breathing exercises. It is common for people to visit a chakra healer, although if someone is familiar with a preferred procedure they can perform the exercises by themselves. Other examples of chakra healing procedure includes meditation, working with affirmations, crystal healing with healing stones, and aromatherapy with essential oils. See below for examples of useful affirmations, crystal healing stones, and essential oils that can assist in the chakra healing process. The color associated with the root chakra is red. The root chakra is located at the bottom of the spine. It is responsible for the with basic human needs such as financial well-being, nourishment, and safety. Physical problems with joints, immune system, skin, bones and blood, indicates an imbalance in the root chakra. Other signals are: fatigue, disorientation, and disagreements with family members. To heal the root chakra, you need to learn to balance your own needs with the needs of others. The color associated with the sacral chakra is orange. The sacral chakra is located just above the spine. It is responsible for our sense of love, sensuality, and money. Physical problems with lower back, hips, bladder and reproductive organs indicates an imbalance in the sacral chakra Other signals are: hormonal imbalance, sexual dysfunction, and lack of creativity. To heal the sacral chakra, you need to learn to manage money without sacrificing love and vice versa. The color associated with the solar plexus chakra is yellow. The solar plexus chakra is located just below the stomach. It is responsible for our self-assuredness. Physical problems with addiction, weight, digestive system, adrenal glands and pancreas indicates an imbalance in the solar plexus chakra. Other signals are: low self-esteem, low immunity, and digestive problems. To heal the solar plexus chakra, you need to develop your self-esteem and self-nurturing. The color associated with the heart chakra is green. The heart chakra is located in the heart. It is responsible for love and inner spirituality. Physical problems with heart, breasts and lungs indicates an imbalance in the heart chakra. Other signals are: anger, low/high blood pressure, and fear of love. To heal the heart chakra, you need to learn to express your own emotions and needs, while you also consider the needs and emotions of others. The color associated with the throat chakra is blue. The heart chakra is located in the throat. It is responsible for speech and articulation. Physical problems with neck, mouth and thyroid gland indicates an imbalance in the throat chakra. Other signals are: Frustration of not being able to express yourself. To heal the throat chakra, you need to find a balance in how you communicate in your day-to-day interactions. The color associated with the third eye chakra is indigo. The third eye chakra is located between the eyes. It is responsible for sight and intellect. Physical problems with the eyes, ears and brains indicates an imbalance in the third eye chakra. Other signals are: headaches, feeling lost, lack of insight and lack of intuitiveness. To heal the third eye chakra, you need to be receptive to information and learn to think your way out of situations. The color of the crown chakra is violet. The crown chakra is located above one’s head. It is responsible for wisdom and spirit. Chronic, degenerative disorders and life threatening illnesses indicates an imbalance in the crown chakra. Other signals are: migraines, headaches, depression, fear, brain fog, and lack of hope/trust/faith. To heal your crown chakra, you need to overcome a lifelong emotional pattern of hopelessness and despair, and find your life’s purpose and your spiritual connection at the same time. What is Chakra healing used for? In the most basic sense, chakra healing is used for those who are in need of energy (this would include people who are anemic, or malnourished), although it has a much broader usage as well, since it is not only used for treating illness, but also as a preventive measure commonly practiced by those who subscribe to its philosophy. Chakra healing is said to be able to cure virtually any malady or mental affliction. The healing process restores the equilibrium for each of the chakra sites, as it is believed that if the chakra has too much or too little energy, it will not function properly. The East Indian philosophy through which chakra healing derives stipulates that the body and mind are connected and that a healthy body is one in which the energies associated with each chakra are balanced and in harmony. Below are wonderful guided meditation videos to open, activate, cleanse, balance and heal your seven chakras. Meditation, visualization and sound healing are great tools for chakra healing, and these tools are incorporated in the chakra healing videos below. Find a comfortable position. Lay down with your hands by your sides, or sit on the floor with your legs crossed and your hands on the laps, or your sit in a chair with a straight back and with your feet on the floor. Make sure to find a position that is comfortable for you. Relax your body and breathe deeply. Now follow the guided meditation and enjoy the chakra healing benefits!